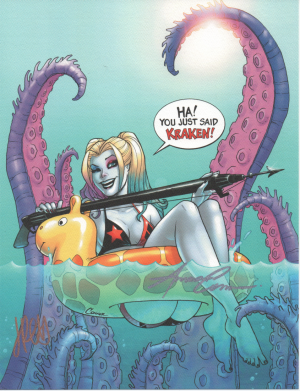 Here is your chance to own a limited edition, hand signed 6 1/2″ x 10″ Harley Quinn Kraken METAL print by Amanda Conner. Previously these were convention only available. Due to popularity, we are opening up a limited amount of prints for the website. These are unique creations and are great display items and hold up incredibly for display. 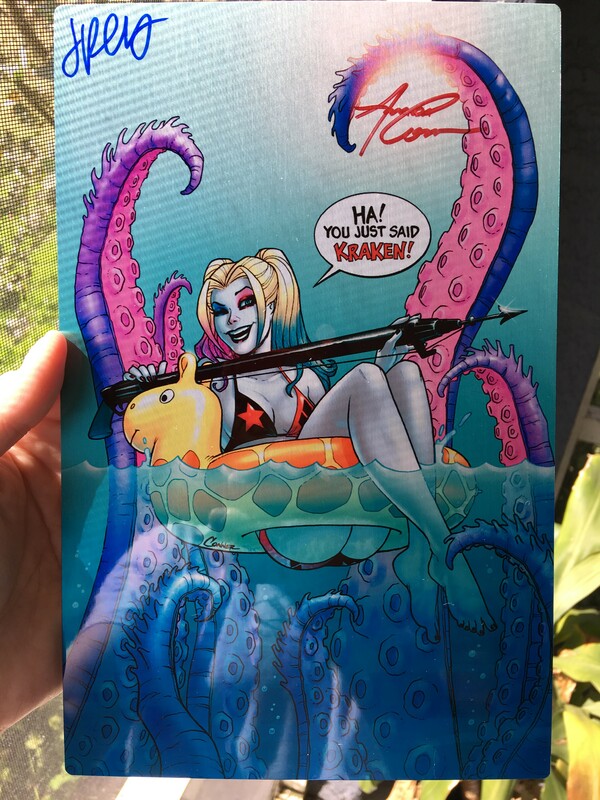 The color is amazing on these prints! Be the envy of your friends with this unique approach to prints and all things Harley Quinn! 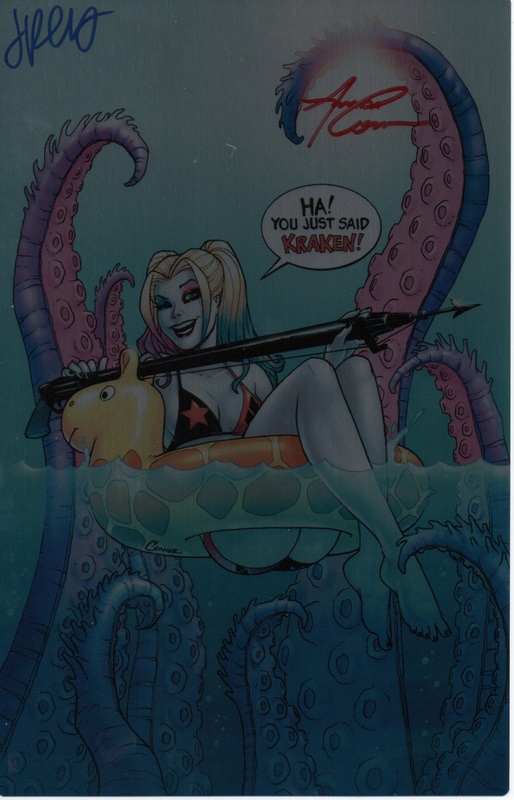 These prints are 6 1/2″ x 10″ on metal stock and are high quality. 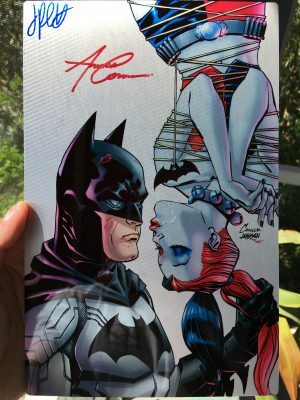 Amanda and Jimmy have signed each and every one of these prints.